A: WHEN THE PEOPLE OF THE CHURCH DECIDE TO PROVIDE FOR THOSE WHO ARE HOMELESS AND DISADVANTAGED WITH A WARM MEAL IN AN ENVIRONMENT THAT IS SAFE AND FRIENDLY RIGHT IN THE HEART OF TORONTO. Sandwich runs, and to a lesser degree Food Banks, offer scant opportunity to fellowship with or establish a meaningful dialogue with the homeless and marginalized. 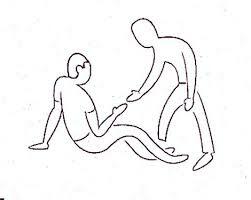 Both can make it awkward and embarrassing to those on the receiving end of a sandwich or food from a relative stranger. This can be a great stumbling block to sharing the Gospel of Jesus Christ as the ‘volunteer’ may appear condescending or patronizing to a homeless or marginalized person. This makes it extremely difficult to share how faith in Jesus’ sacrifice allows all to be equal in the eyes of God, especially if they find out that volunteers are paying a fee to give a sandwich to them! 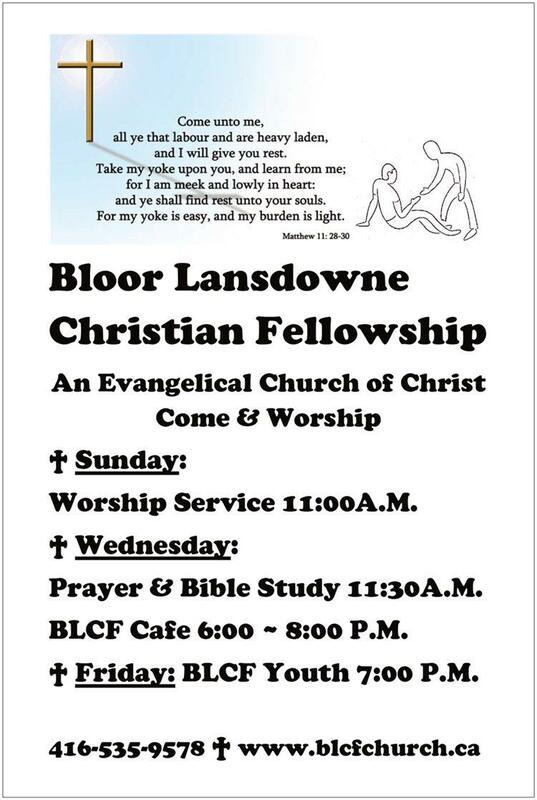 Bloor Lansdowne Christian Fellowship – BLCF Church, formerly know as the Church of the Crusaders, has preached the Gospel of Christ Jesus in the Heart of Toronto since January 1938. In a Community Dinner, the homeless and marginalized are treated with dignity and respect, served a warm meal with music and fellowship. These conditions are perfect for meaningful dialogue and to establish friendships as a launching point to witness as equals at the same dinner table. At BLCF Cafe, a short testimony and shared scripture are given as the dinner’s second course, served between the main and dessert. Over time our guests develop an appetite and appreciation for spiritual sustenance as much as the food served at the dinner. Through the power of the Holy Spirit many of our guests now help to serve others at the dinner, giving of themselves, showing that they have learned to become fishermen/women and embracing the Mission Statement BLCF Cafe Community Dinner: ‘Truly, I say to you, as you did it to one of the least of these my brothers, you did it to me.’ – Matthew 25:40. A number of our guests have made a decision to accept Jesus as Lord and Saviour, which demonstrates how marvelous and great the work of the Lord is when we trust him to transform a simple function as serving and sharing a community dinner into a meeting of faith and worshiping of our Lord. Many returning guests feel that the community is their church meeting. Jesus knew what He was doing when he fed the multitude when He shared His message on the mount. 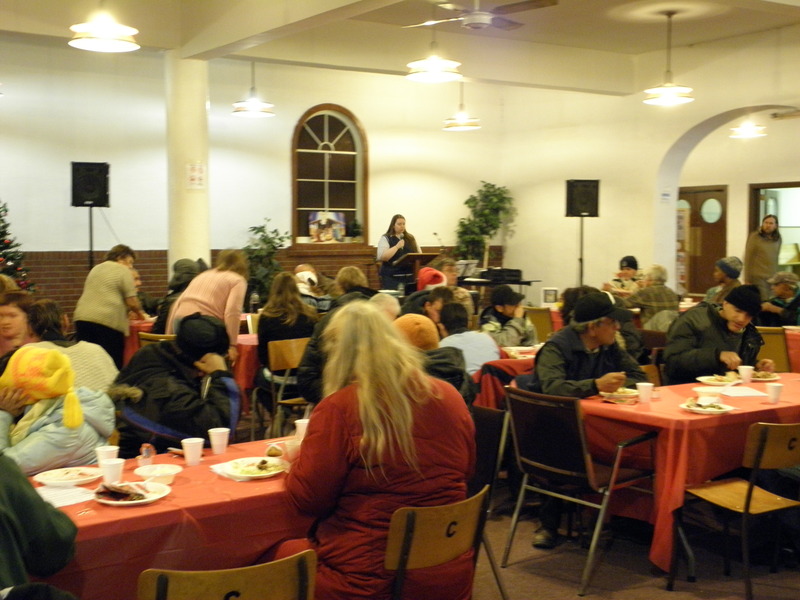 Bloor Lansdowne Community Dinner, renamed in December 2009 as BLCF Cafe, was established in January 2008 by and is run under the auspices of Bloor Lansdowne Christian Fellowship Church. On Wednesday evening’s BLCF Cafe Community Dinner feeds and fellowships serves upwards of 150 homeless and marginalized people weekly, (over 7,500 a year). This is not a “soup kitchen’ program. It’s more like inviting neighbors over for dinner. The tables are set, the ambiance is friendly and we serve our guests at the table restaurant-style, hearty and homemade meals and tasty desserts, with a spiritual break in-between. Dinner is served from 6 to 8 PM. Throughout the dinner, there is live music: Folk, Blue Grass, Gospel, usually featuring our friend Terry Sywanyk, guitarist/vocalist and songwriter with the duo ‘A Cup of Cold Water’. In 1938, a group of believers embarked on a mission to bring the message of the gospel to the Bloor Lansdowne area in a relevant and meaningful way. The membership moved into a converted truck garage on Bloor Street near Lansdowne Avenue establishing the Church of the Crusaders. Seven decades later the church, known today as Bloor Lansdowne Christian Fellowship, continues to meet the challenges of actively preaching and practicing the message of the gospel in relevant and meaningful ways to the local community. All are welcome at our non-denominational house of worship. We hold weekly services and weekly prayer meetings. You are also invited to participate in our outreach activities to give aid to those members of our community in need, through our Wednesday evening BLCF Cafe Community Dinner. Please check our Weekly Calendar (below) if you’re interested in attending weekly services or community activities. Whether you’re new to the neighborhood, new to worship, or looking for a new home church, we welcome you with open arms! Love never fails! Thanks for the love you have shown to God and others. A Church with a vision in the heart of Toronto. Some 70 years ago, a group of believers embarked on a mission to bring the message of the gospel to the Bloor Lansdowne area in a relevant and meaningful way. The membership moved into a converted truck garage on Bloor Street near Lansdowne Avenue establishing the Church of the Crusaders. Now seven decades later the church, now known as Bloor Lansdowne Christian Fellowship, continues to meet the challenges of actively preaching and practicing the message of the gospel in relevant and meaningful ways to the local community, such as Bloor Lansdowne Community Dinner, renamed December 2009 as BLCF Cafe, a weekly Community Dinner feeding over 100 homeless souls weekly, over 5,000 annually. BLCF Cafe was established in January 2008 by and is run under the auspices of Bloor Lansdowne Christian Fellowship with the help of a dedicated core of volunteers. The Bible says that a church is not mortar, brick and wood, but the body of believers who gather together to worship, pray, sing, teach and celebrate God’s path of salvation, through accepting Jesus Christ’s sacrifice on the cross at Calvary. Disclaimer: Joe Elkerton resigned from BLCF in November, 2009 and is no longer involved with either our church or community dinner. Please direct all volunteer enquiries and donations to Bloor Lansdowne Christian Fellowship – BLCF Church, 1307 Bloor Street, Toronto, ON, M6H 1P1 or 416-535-9578. BLCF Church is not now, nor never has been partnered with Project 417, UA or Ekklesia Inner City Ministries.